Brandy Carpenter, 38, and De’Marchoe Carpenter, 41, began their romance in the summer of 1994. Brandy was 14 years old. De’Marchoe was 17. And Brandy had had a crush on him for years. But before they had their first kiss, De’Marchoe was arrested for a murder he didn’t commit in Tulsa, Oklahoma. De’Marchoe was eventually exonerated by the Oklahoma Innocence Project, and walked out of prison on May 9, 2016. He and Brandy got married 13 days later. 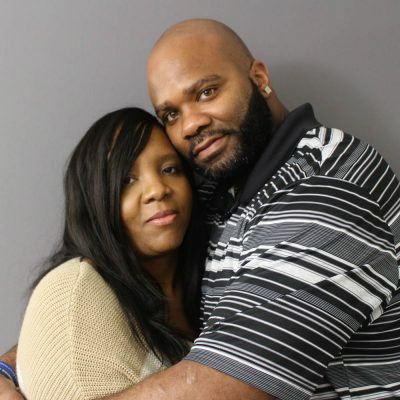 At StoryCorps, De’Marchoe and Brandy talked about the toll his incarceration took — and continues to take — on their relationship. Produced by StoryCorps. Originally aired July 20, 2018, on NPR’s Morning Edition.